On Sunday, 17th November, prior to the Licensing of four new Readers in the Diocese of Cork, Cloyne and Ross, the Bishop, Dr Paul Colton, also commissioned the Reverend Steve McCann, Rector of Ballydehob as the new Chaplain to Lay Ministers in the Diocese. The Chaplain to Lay Ministers has responsibility for the care of Readers, Lay Pastoral Assistants and Lay Liturgical Assistants in the Diocese. He is also Chairperson of the Diocesan Healing and Pastoral Care Committee. 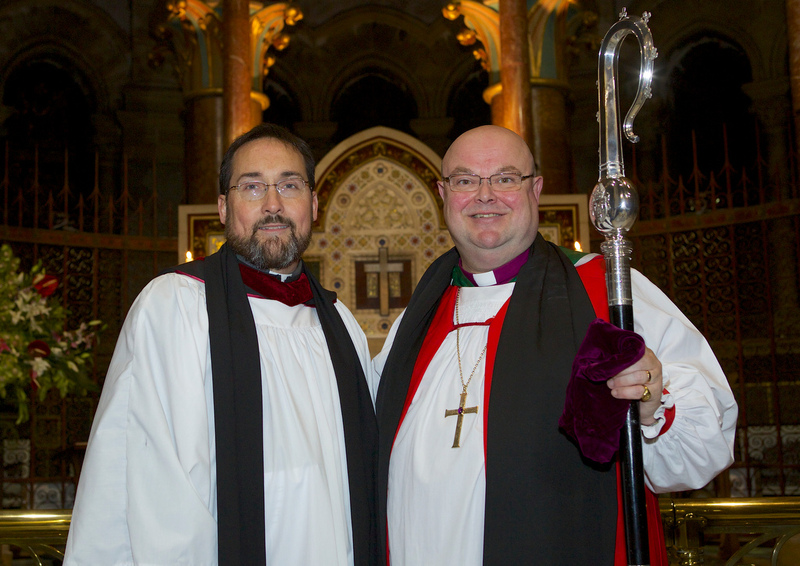 The Reverend Steve McCann, Chaplain to Lay Ministers in Cork, Cloyne and Ross, with the Bishop. This entry was posted in Appointments, Bishop, Chaplaincies, Commissionings, Diocese, Lay Ministry. Bookmark the permalink.